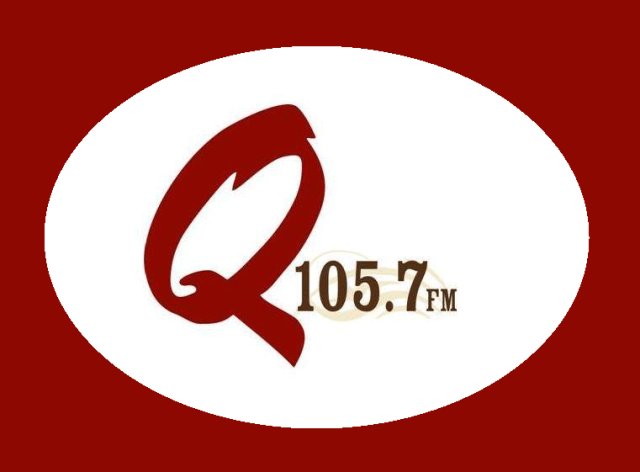 Q105.7 is a Canadian Country music station broadcasting from Brooks, Alberta and is owned by Newcap Radio. The FM was initially launched as CKBR in 1973 by Dinosaur Broadcasting Ltd beating out Monarch Broadcasting. on 1340 kHz using 1,000 watts for day and non-directional 250 watts for night. The three hours of the local content would come from the newly launched station while the rest is filled by the remainder coming from CJDV Drumheller. On February 1981 CHUM Limited invested in 69.3% in Dinosaur. Following the development the stations CJDV, CHOA and CKBR got a Q at the end changing to CKDQ, CKSQ and CIBQ. In 1982 approvals were made for the up-gradation of the equipment of that purchased by Dinosaur. In January 1985 the night-time power was increased to 1,000 watts. In 1995 Nor-Net got the ownership of the CIBQ Books, CKSQ Settler and CKDQ Drumheller. Nornet Broadcasting along with CIBQ was then acquired by Okanagan Skeena Group Ltd in November 1998. Following the intra-corporate reorganization in October 1999 the Q 150.7 was moved to Standard Radio Inc. and then Rogers Broadcasting Ltd in April 2002. In 2005 Newcap once again launched its new AC station in Brooks intended to complement the existing CIBQ broadcasting the country. CRTC gave CIBQ the approval to change its band to FM at 105.7 MHz. The band was flipped form 1340 AM to 105.7 FM in February 2011 while the station was rebranded as Q105.7 FM. Welcome to Q105.7 Country. Listen Q105.7 (CIBQ-FM) live from Alberta. Wait as the stream loads.